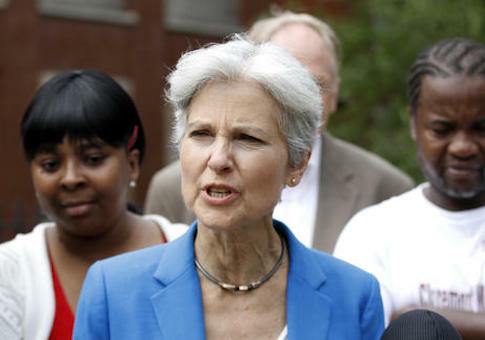 Taxpayers in the Philadelphia region of Pennsylvania will have to pay $37,000 thanks to Green Party nominee Jill Stein's failed presidential recount attempt in the state. Local taxpayers in Philadelphia and Chester Counties, the only two counties in the region to perform recounts, are being hit with the overtime pay of workers. The overtime bill for Chester County tallied $32,000, while Philadelphia County cost $5,000, according to the Philadelphia Inquirer. Voters petitioned their precincts as part of an organized effort by Stein's campaign lawyers and supporters. Stein had asked for a statewide recount and a forensic examination of voting machines to determine whether there were irregularities with electronic machines. A federal judge denied her request, saying it had come too late. Chester County's figure includes overtime for county employees, including sheriff's deputies for security; payments to workers from a temp agency; and food costs from Dec. 9 through Dec. 11. Workers counted by hand more than 190,000 paper ballots cast in 143 of the county's 228 precincts. About 15 workers in Philadelphia earned overtime for reviewing voting machines and hand counting absentee and provisional ballots from Dec. 2 through Dec. 4 in 75 of the city's 1,686 voting divisions. In addition to Pennsylvania, Stein pushed for recounts in Wisconsin and Michigan. In Wisconsin, the only state to perform a recount, President-elect Donald Trump ultimately netted 131 more votes than the original tally. The Wisconsin recount was initially estimated to cost $3.5 million. However, the actual cost hovered around $2 million, meaning that Stein will receive a $1.5 million refund from the state. Michigan will also reimburse Stein nearly $600,000. Stein also spent nearly $1 million of the $7.3 million in total funds that she raised on consultants, staff, and administrative costs. This entry was posted in Politics and tagged 2016 Election, Green Party, Jill Stein, Pennsylvania. Bookmark the permalink.